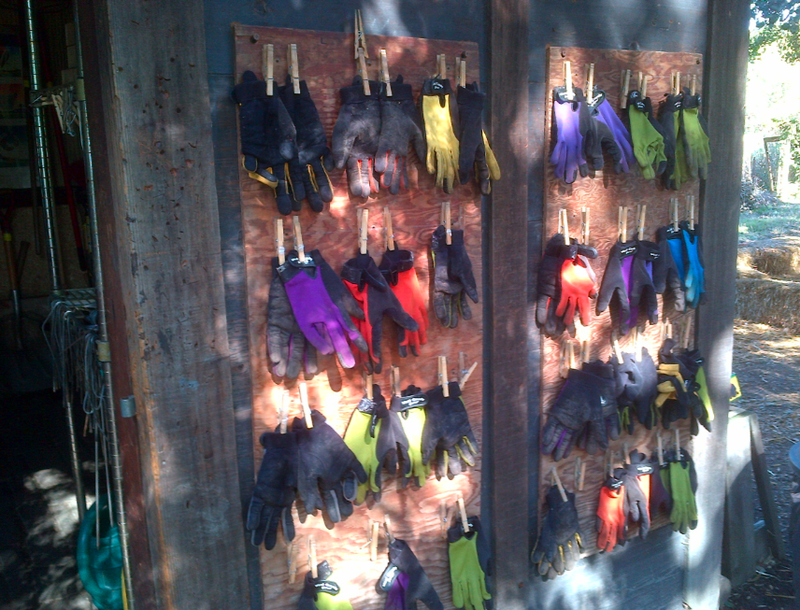 School garden inspiration | What's for lunch? 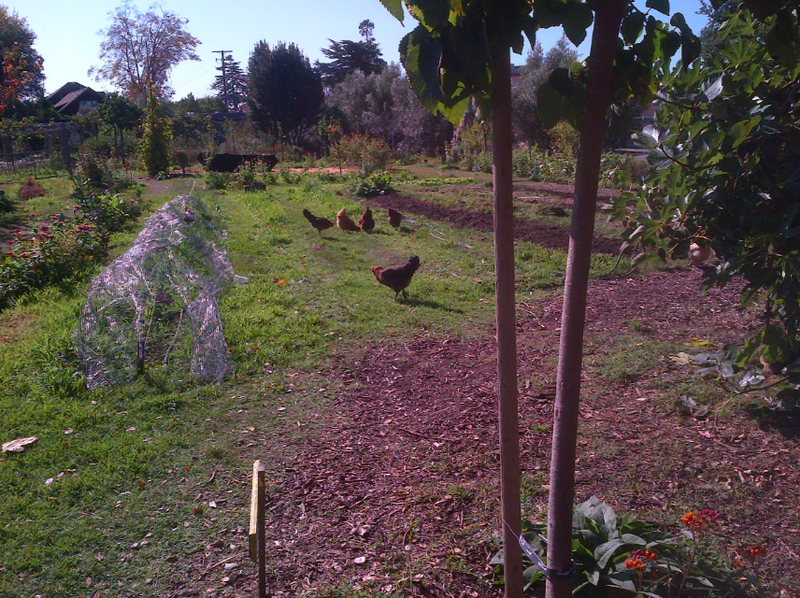 When it comes to school gardens, The Edible Schoolyard gets all the attention. And after my trip to California this past week to take part in the American Community Food Security Coalition conference, including a tour of Alice Waters’ brainchild, I can say it definitely lives up to the hype. The grounds are beautiful and interesting, with an integrated garden and kitchen, chickens, a bake oven and what looks like ample resources. 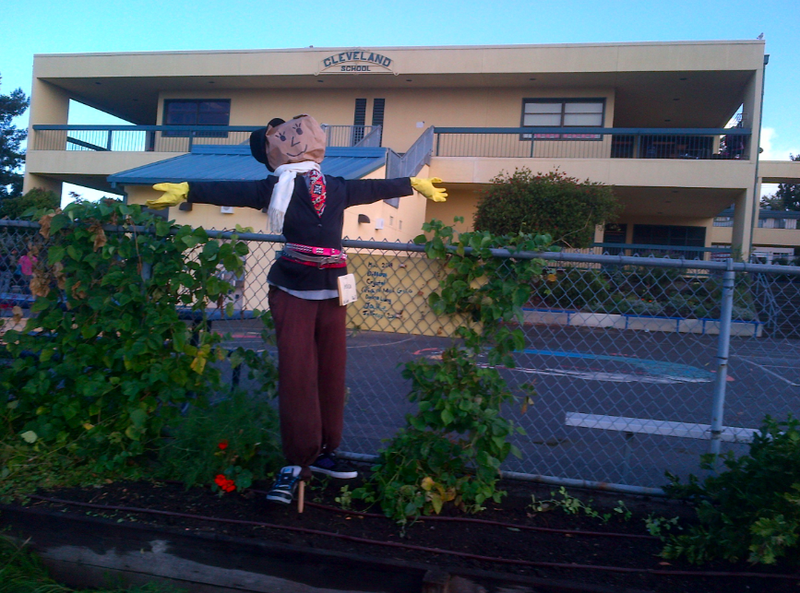 But we also made a pitstop in Oakland at a place called the Cleveland School. It’s a school that serves a very diverse community and doesn’t have the star power of a celebrity chef behind it, but they’ve managed to create quite an amazing little oasis on a relatively small amount of land. The story we were told on our tour is that at her job interview a teacher told the principal that the yard was really, well, ugly. The principal shrugged and said, whaddaya want to do about it? The answer was this amazing outdoor classroom. 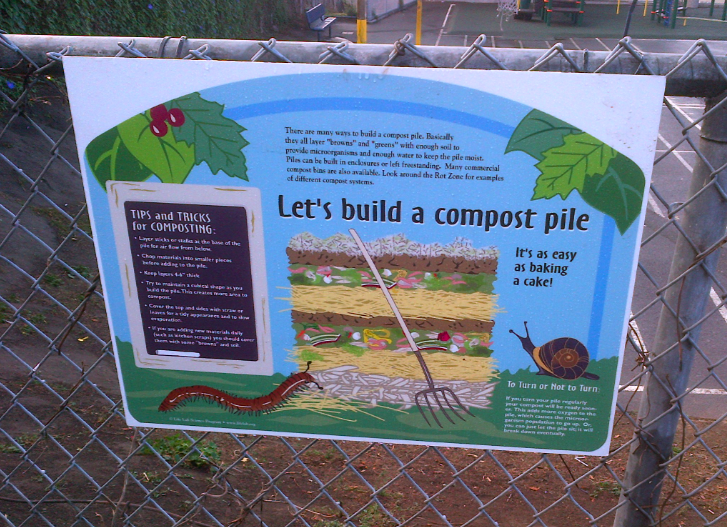 With the help of parents, kids, teachers as well as interns from AmeriCorps and Berkeley’s Center for Ecoliteracy, they now have a program that includes science and math as well as health and sustainable living. Kids enjoy regular taste testings and garden-related festivals—including Vegetable Soup Day, Harvest Festival and Little Red Hen Day. 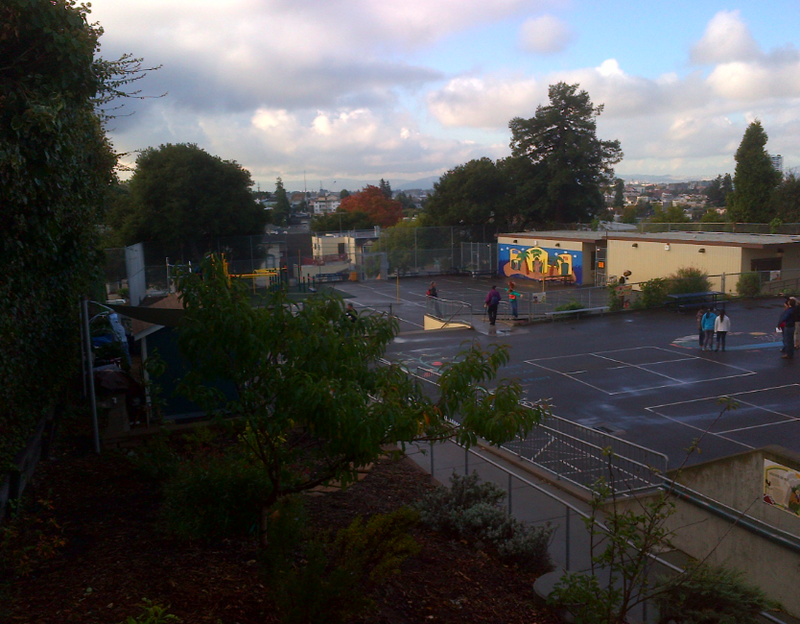 The gardens are mostly tended after school but teachers spend quite a bit of time outdoors with their students. During the summer, Family Farmers are provided with a training session and take care of the plot. I was especially struck by the quantity and quality of the signage they have all over the schoolyard. 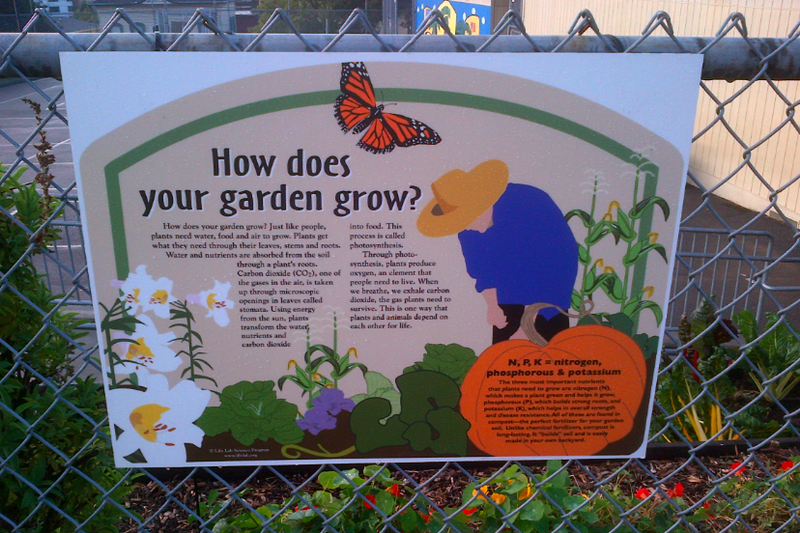 It is fun and informative and makes sense of the garden for both outsiders and the kids who read/see them everyday. 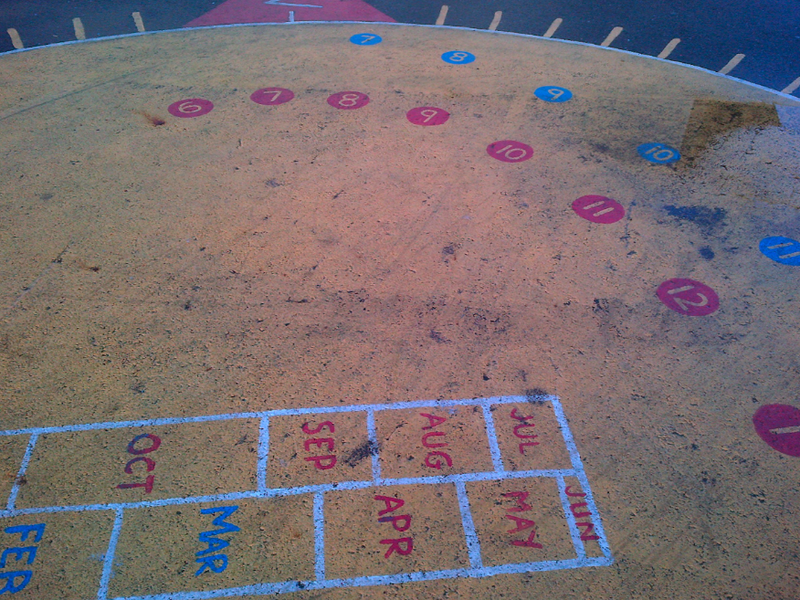 I was also intrigued by the sun clock painted on the pavement. Sun clocks are human sundials, which use a person’s own shadow to tell the time. (There’s a company in the U.K. that will do all the complex measurements required to set it up for your school’s longitude and latitude.) I imagine that the kids love trying it out, and there are also tons of teaching applications. But the best part to me is that this whole project started out so simply and has become such a big part of the school. A very inspiring place. Tagged as eating with kids, School gardens, school lunch in USA, The Edible Schoolyard, The Stop, What's for Lunch? Great post Nick. I like the fact that the project at the Cleveland School was driven by the teacher saying the yard was ugly – by telling the truth… and by the principal giving her a chance to change it.